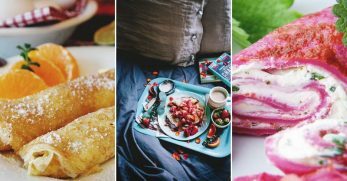 Are you always looking for quick lunch ideas? If you're anything like me, you tend to toss the same things in your lunchbox every day. For me, it's because that's easier than trying to be creative every day. But it's no fun when lunchtime rolls around, and I have no desire for what I've packed. 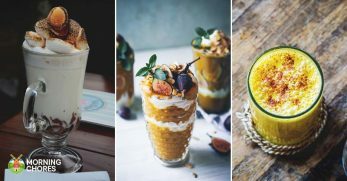 Fortunately, there are loads of quick lunch ideas that will have you looking forward to mealtime and keep you from getting tired of eating the same things all the time. It just takes a few minutes to make your lunch, no matter what you're putting in there. 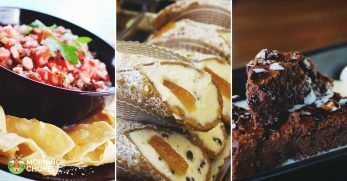 It makes sense to come up with a repertoire of delicious ideas, so you always have something new. Packing my lunch is just one of those chores that I hate, but when I have inspiration for something tasty, it's a bit more tolerable. And I can tell you that knowing you have a good lunch waiting for you at noon really makes the whole day better. 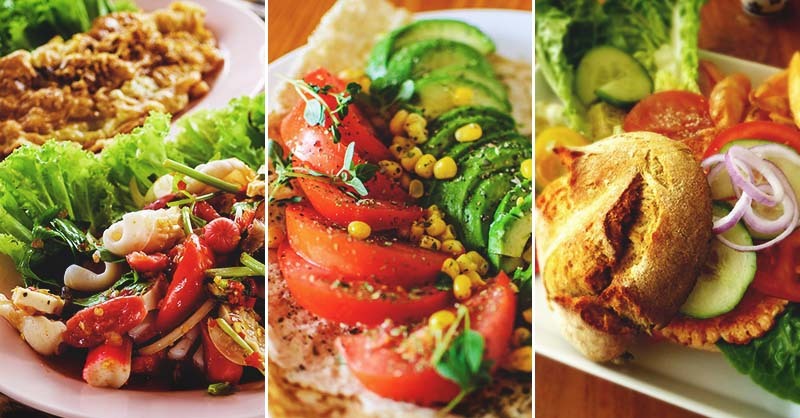 So, here is a month's worth of quick lunch ideas for you to get started with. 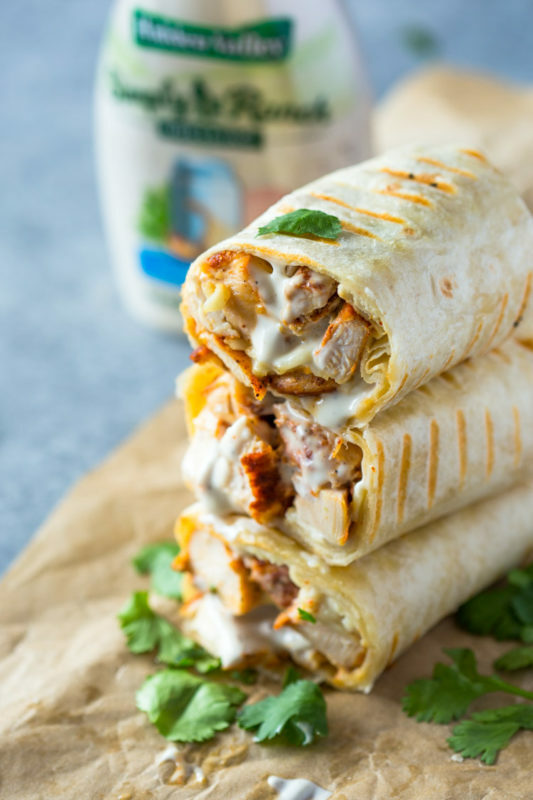 Chicken ranch wraps are one of my favorite things to make with leftover chicken. I toss the filling together after dinner so that all I have to do in the morning is wrap them up and get them into my lunchbox. The ranch is a nice twist and keeps you from eating the same old turkey with mayo. I usually take a piece of fruit and some sliced veggies to go along with these Chicken Ranch Wraps. If I'm putting them in my kids' lunch, I might also add a container of yogurt or a treat. 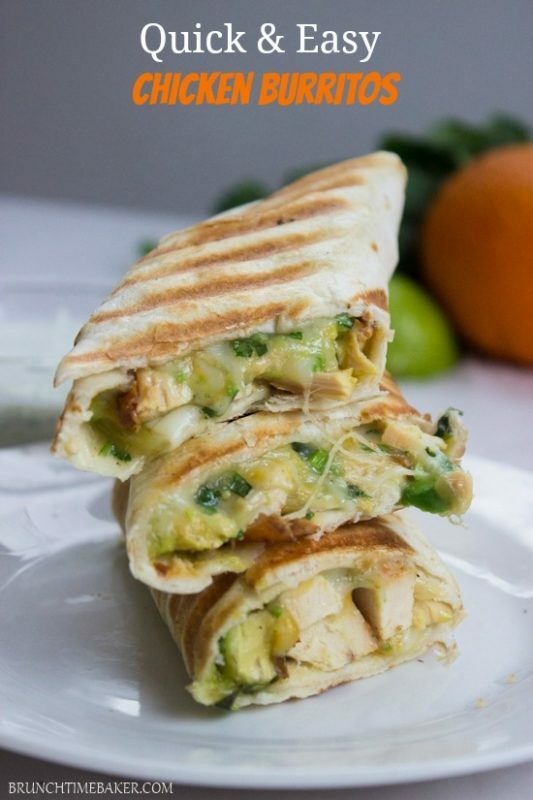 Chicken and Avocado Burritos have quickly become one of my favorite quick lunch ideas. Why? Because they're full of flavor and so easy to put together. 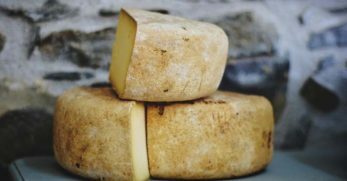 The cheese makes them gooey and delicious, and they feel super indulgent for lunch. A salad is my favorite thing to serve with these burritos because lettuce, tomato, and veggies pair so well with them. I like to take a bit of salsa for dipping on the side too. I almost never wait until morning to pack my lunch because it's so much easier to do it the night before. Plus, it saves time in the morning. 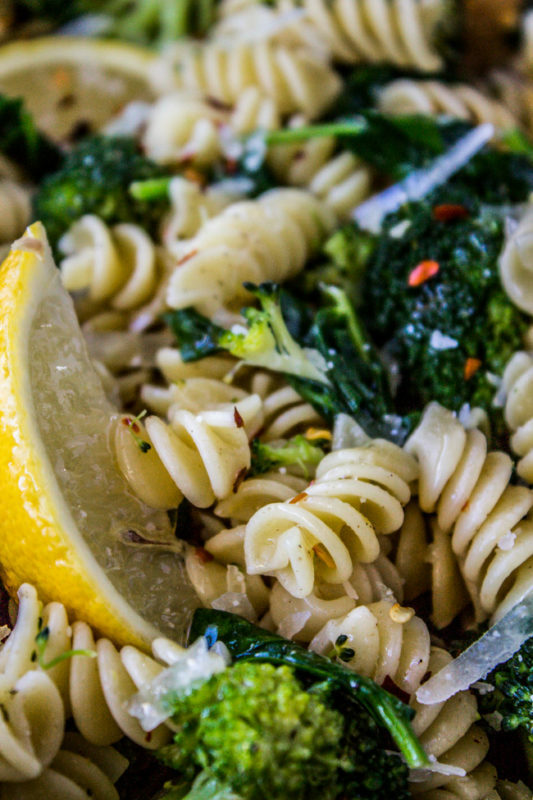 On the weekend, I like to whip up a big batch of this Lemon Broccoli Pasta and portion it out for the entire week. 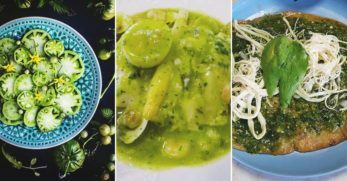 Its tangy lemon taste is refreshing, and it's a complete meal in one dish. Although, I do like to take an apple or a banana to be sure I am full enough to last all afternoon. If I'm ravenous, sometimes I'll enjoy a small breadstick or dinner roll with this meal too. I love taking wraps in my lunch because they're quick and I can eat them with one hand so I can go for a walk or read my book while I'm on break. This one is filled with spicy tuna and veggies, so it's a little different than the chicken ones that are so popular. 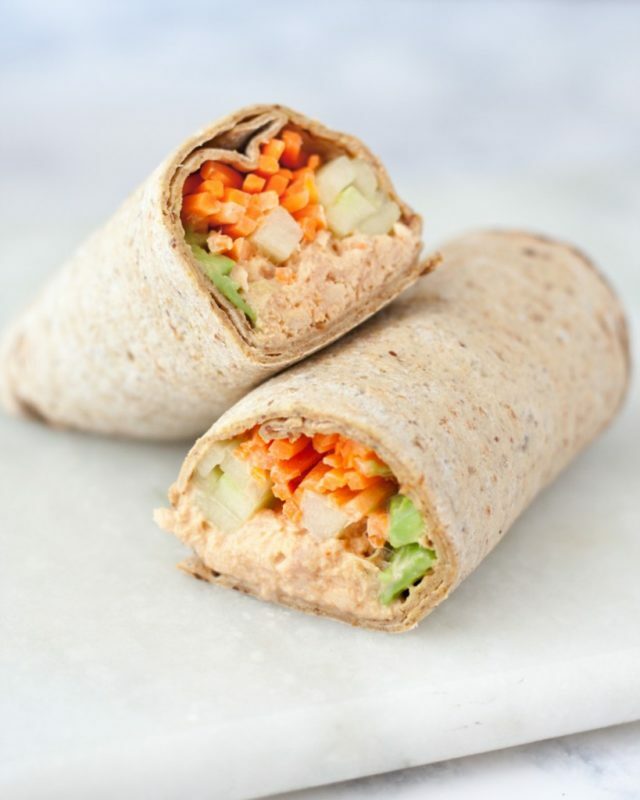 I love to enjoy an orange with these Spicy Tuna Wraps because they're refreshing and add a bit of sweetness to offset the spice. 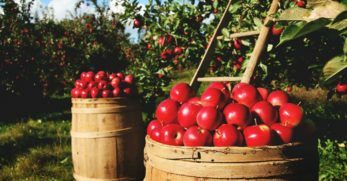 But go ahead and enjoy any fruit you like with yours. It's a complete and filling meal without a lot of hassle. Just what I want! 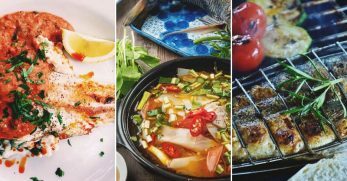 Here's why this is one of my favorite quick lunch ideas – I make it for dinner and serve it hot the night before, then pack up the leftovers and eat them cold for lunch the next day. Nothing could be easier. The pesto gives this meal a decidedly unboring taste that's perfect for shaking up mealtime. 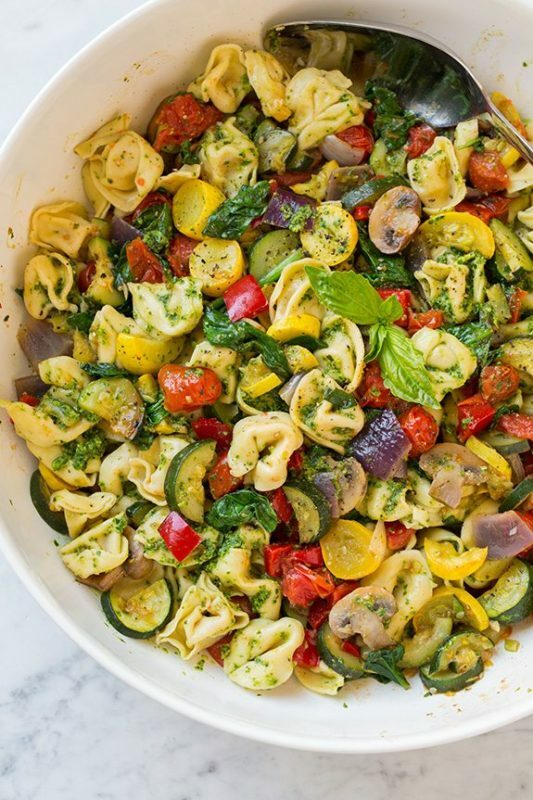 This Tortellini with Pesto and Roasted Veggies are also filling and fun to eat so your noon meal won't make you feel like you're in a rut. Perfect! 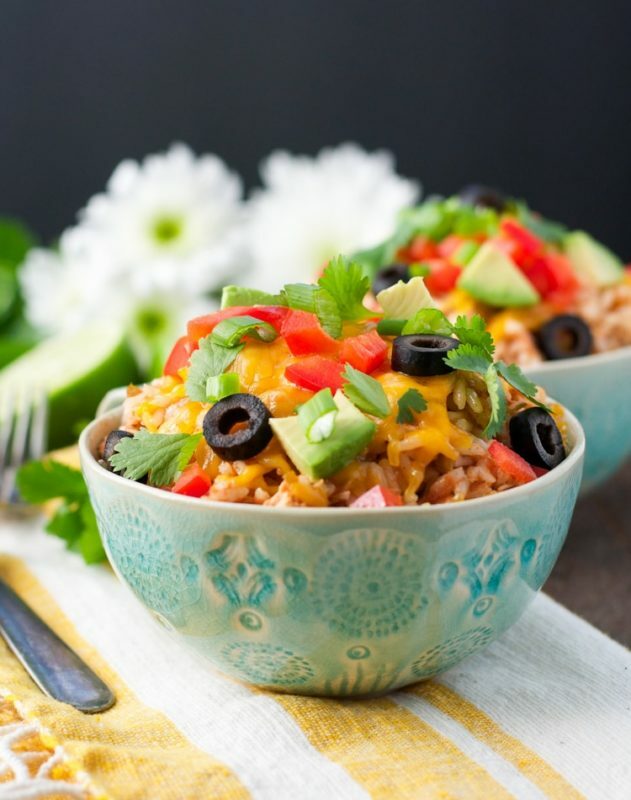 You won't even crave going for takeout when you have one of these Chicken Taco Rice Bowls waiting in your lunchbox. It is another meal you can make the night before, then merely warm up when lunchtime comes. In addition to olives and avocado, I like to put a little lettuce and sour cream on mine. I don't often take a lunch that doesn't have some fruit in it, and this one is no exception. Some mango goes with the south of the border flavors and adds a sweet treat to my meal. It's always a good day when there's pizza waiting in my lunchbox. This version combines summer goodness like squash and red peppers, so it's great for using up what your garden produces. Of course, you can always mix and match the veggie toppings based on what you have. 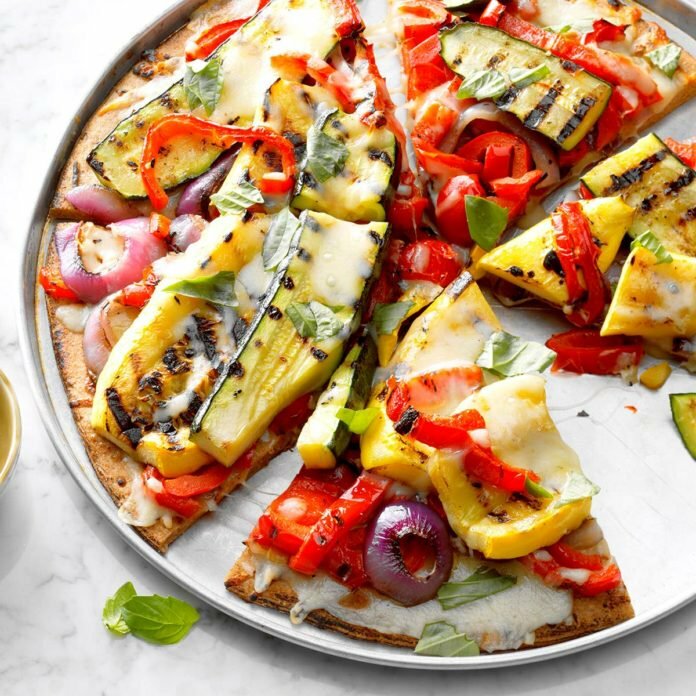 This Garden Veggie Pizza also has a unique flavor that comes from grilling it rather than baking it. My suggestion is to prepare this the night before then either eat it cold for lunch or warm it up for a minute in the microwave. Either way, it's a lunch you'll love! 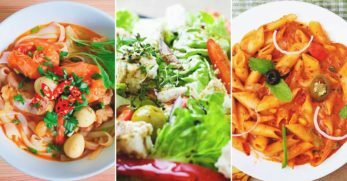 My favorite thing about pasta salad is that you can eat it cold, which makes it an excellent idea for delicious and quick lunch ideas. 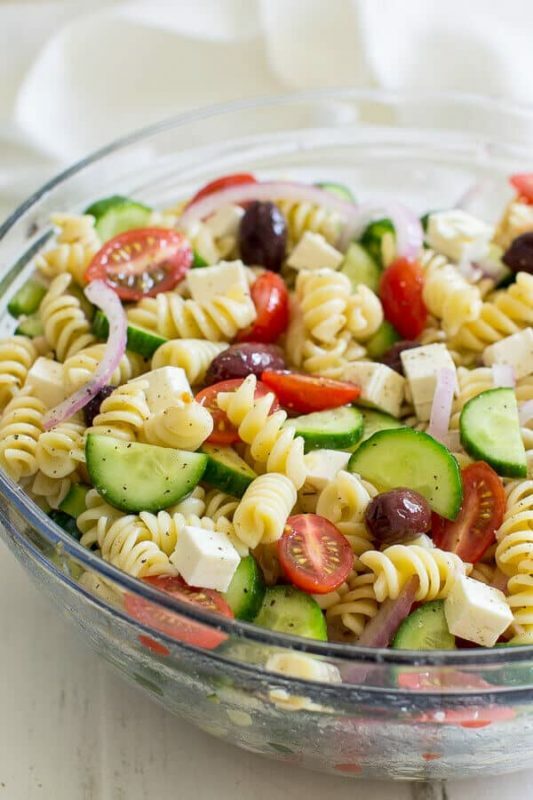 This Greek Pasta Salad has olives, cucumbers, tomatoes and feta cheese, all of which meld together most delightfully. I love to add a few sliced banana peppers to the mix for some spice. I usually bring grapes or berries to eat with this because they're easy to eat while I take a midday break. 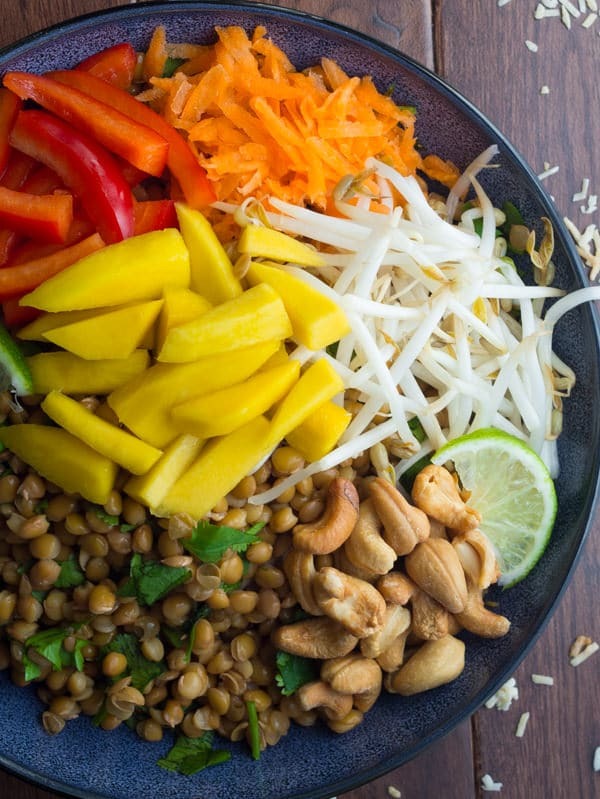 Lunchtime was made for salad, and this Mango Cashew Lentil Salad is a delightful riff on the basic veggies salad you might be used to. The lentils make it extra filling, and the nuts add a nice crunch to this bowl of deliciousness. A salad with fruit and veggies turns one bowl into a full meal, and I love the mixture of mango with carrots, peppers, and lime. It is a lunch I look forward to all day, and I think you'll feel the same. Here's one of my favorite quick lunch ideas because I love it, but it's also something my kids love taking in their lunch. 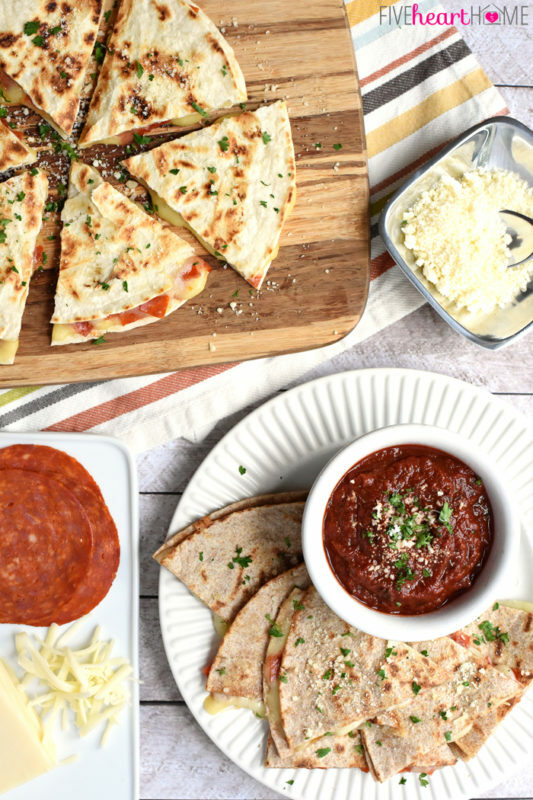 If you like pizza, you'll adore these Quesadilla Pizzas with a hearty dipping sauce on the side. Mix and match your pizza toppings based on what you like best. It's that easy! My favorite way to enjoy this meal is to serve a salad on the side with lettuce, tomato, cucumber and bell peppers. A bit of ranch dressing and that's a meal that will make any lunchtime a little bit better. 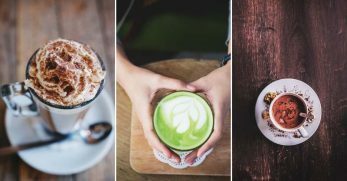 Eat these cold or warm them up – whichever you prefer. Who says kids are the only ones who can enjoy a lunch kit? These DIY Mason Jar Lunchables can be modified to fit the tastes of anyone, and they're cute and easy to make too. 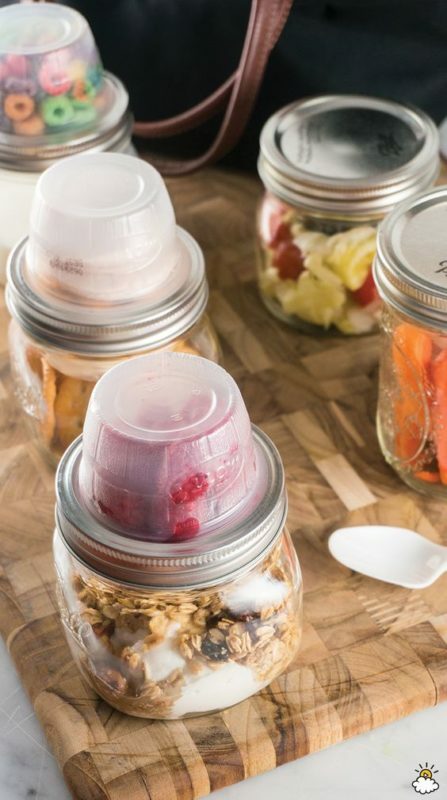 If you have a family like mine, everyone likes different things, but these jars make it simple for even the little ones to help pack their lunch. One of the best things about this easy meal is that the mason jars can be used again and again, cutting down on the trash in your lunch box. Everyone will be jealous when you pull this out of your lunchbox. If you're anything like me, the Chinese restaurant down the street regularly tempts me into buying my lunch. So imagine how excited I was to find this recipe. 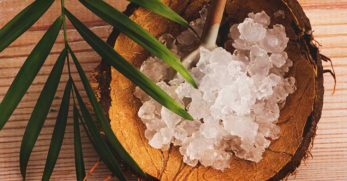 It's fast and easy and satisfies a craving for takeout in a less expensive and much healthier way. 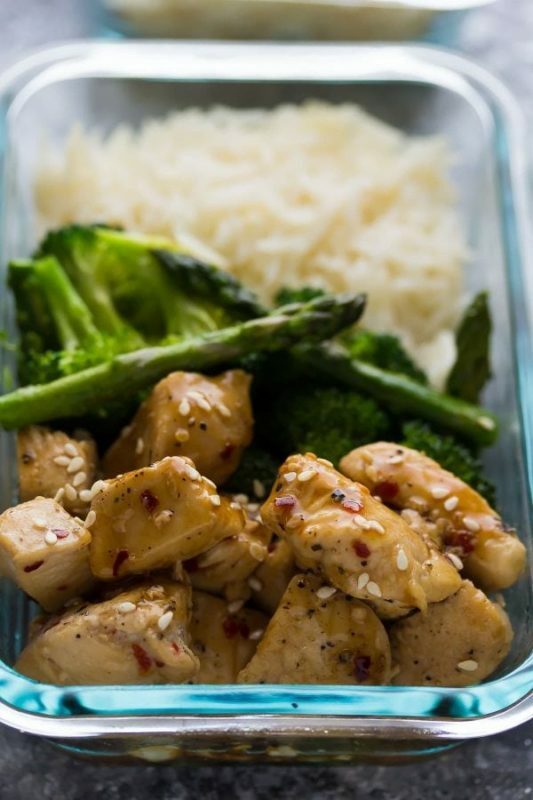 These Honey Sesame Lunch Bowls combine chicken tossed in an addictive sauce paired with broccoli and rice, giving you a meal in one dish. That makes clean up so easy! And you won't have to sacrifice flavor when you add this to your repertoire of easy lunch ideas. 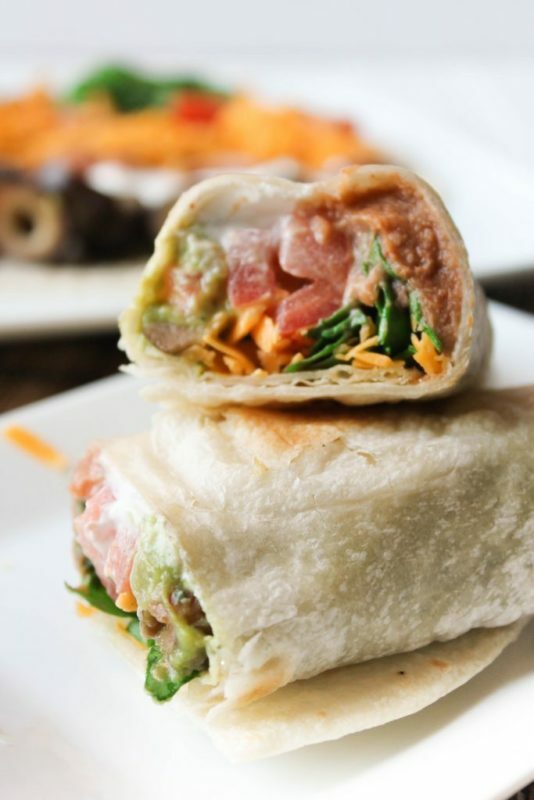 These Seven Layer Burritos are probably one of my favorite quick lunch ideas. Why? Because seven layer dip is one of those things that I can't stop eating once I start. These burritos let me enjoy a favorite without totally overdoing it, and still be full when lunch is over. These are super simple to make the night before, but be sure you wrap them well, so the avocado doesn't get brown. A little salsa on the side and you have a tasty meal you can make yourself in just a few minutes. 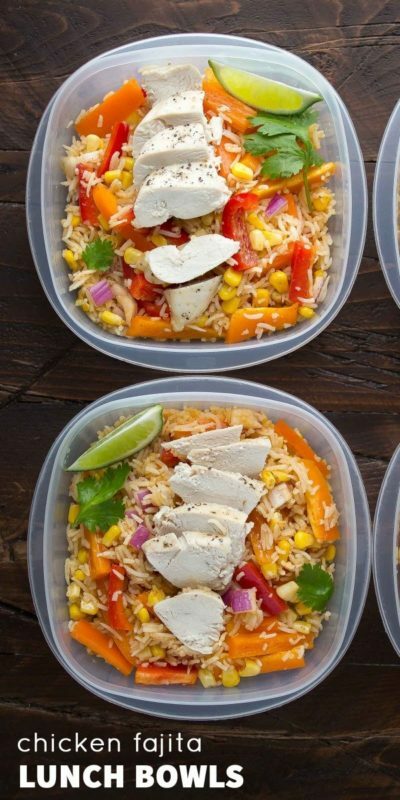 If you like fajitas, you are going to adore these Chicken Fajita Lunch Bowls. They have all the great flavor you love but are easy to toss in your lunchbox and go. Chicken, peppers, onions, and rice come together to create a filling and nutritious meal in no time. I like to serve some sliced tomatoes and avocados with mine to make them feel more authentic. Of course, I always take fruit too and mango or orange slices pair well with this meal. If you're watching your carbs or don't like tortillas, lettuce wraps are a great alternative. They're crisp and refreshing but will fill you up without filling you out. 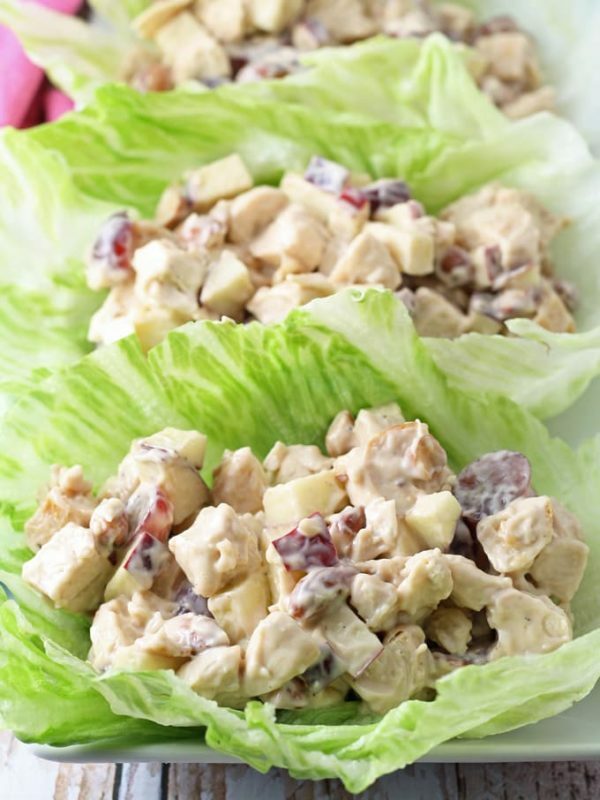 And the chicken salad in this recipe is flavorful and something a little bit different than you're used to eating for lunch. 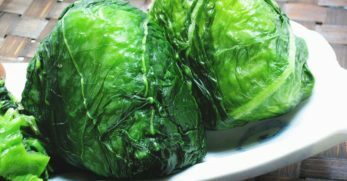 When I take these Grilled Chicken Lettuce Wraps in my lunch, I usually take the salad in one container and the lettuce in another and put them together as I eat. That keeps the lettuce from getting soggy and preserves the crisp taste. Lunchtime was made for sandwiches, and this Spring Goddess Sandwich is one you'll crave again and again. 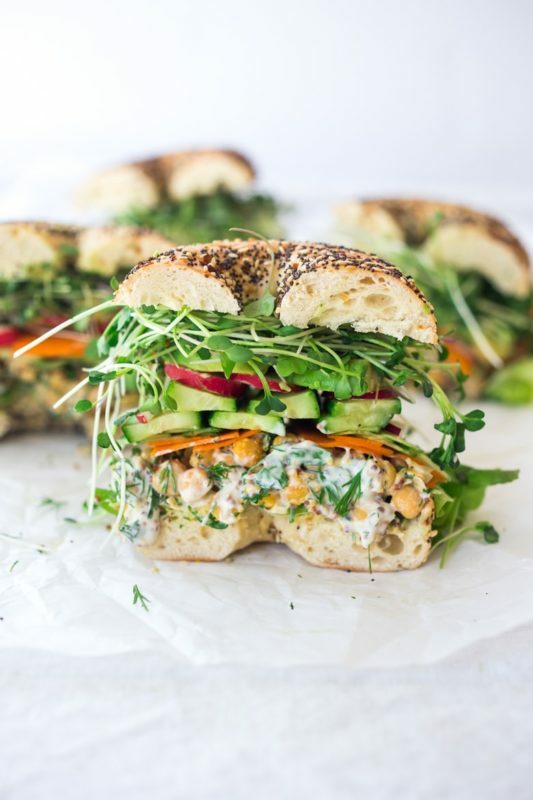 It's filled with sprouts, cucumber, tomato, chickpeas, and herbs, creating an explosion of flavor with every bite. And it's meat-free, so it's ideal if you are a vegetarian. I like to enjoy this delicious sandwich with a side of grapes and a few potato chips. It's healthy and super filling, so you won't find yourself reaching for snacks between meals. And that's just a healthy choice! This is definitely one of my favorite quick lunch ideas because you can make one big sandwich, then cut it into smaller pieces and fill everyone's lunchbox with ease. Heck, you can even make this for dinner and then portion up the leftovers for lunch. Easy, right? 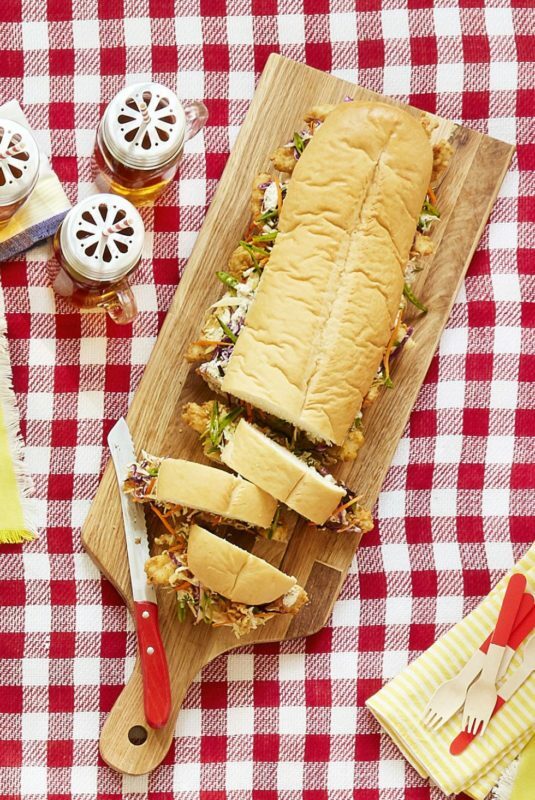 The combination of Crispy Chicken and Crunchy Slaw makes this a tasty meal that's a step above your traditional turkey and cheese. A few potato chips and an apple and lunch is done! 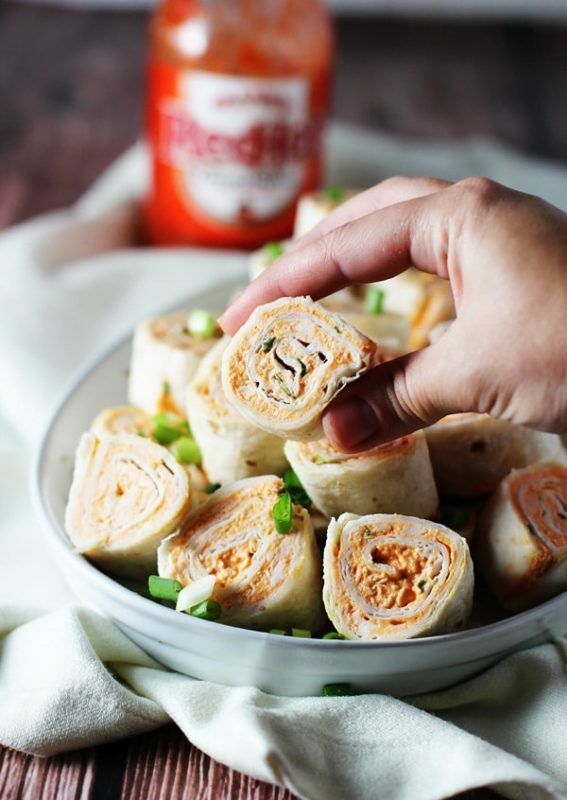 These Buffalo Chicken Pinwheels are perfect if you love hot wings. Because we all know that taking hot wings in your lunchbox is neither practical nor easy. Whip up a few of these pinwheels, and you still get all the great flavor without all the mess and hassle. And you can't put these in your lunchbox without some sliced carrots and celery sticks on the side. An orange or apple rounds out the meal and turns lunchtime into something you're going to look forward to. Kids love these too! 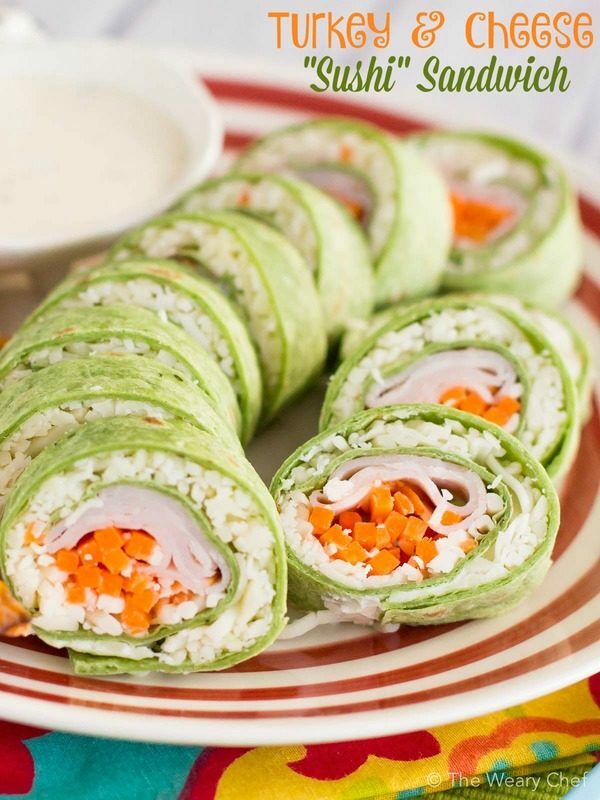 If you don't want to give up your favorite turkey and cheese, this Sushi Sandwich is a fun riff on an old classic. The tortilla holds together turkey, cheese, carrots and rice and makes for a tasty and novel meal that adults and kids can't get enough of. To ease your mind, there's nothing raw in this sushi except the veggies so it's safe and won't have a fishy taste. Anytime you have these to enjoy at lunchtime; you'll look forward to noon coming every day. 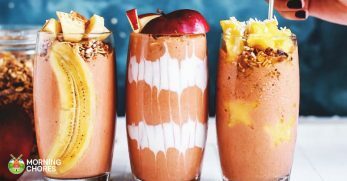 I love these, and I think you'll find that they're one of the top easy lunch ideas in your rotation. If you've never had a pressed sandwich, you are missing out on something great. 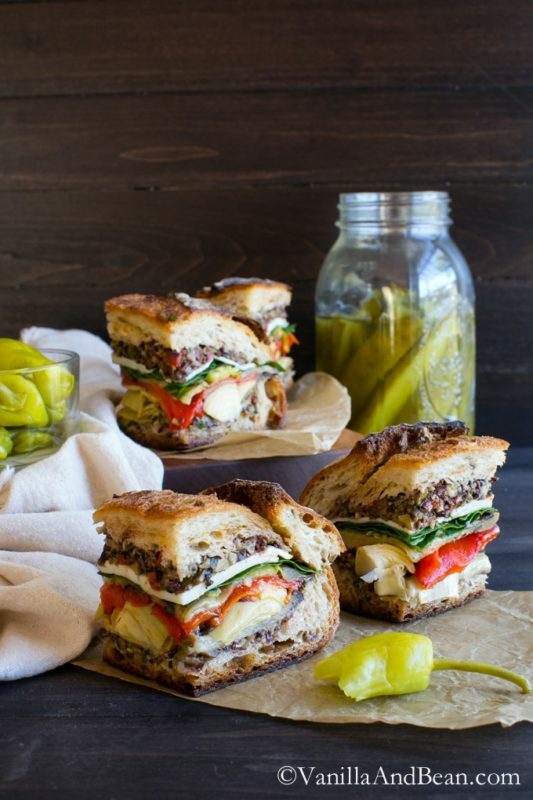 These Italian Pressed Sandwiches are packed with veggies, but the olive tapenade is outstanding. I'd eat it plain if I could get away with it. These hearty sandwiches don't have any meat, but they're filling and will satisfy your appetite all afternoon. I like kettle cooked potato chips with mine, but go ahead and enjoy fruit salad or sliced veggies with yours. Doesn't this look yummy? The curry brings a lot of flavor to the chickpeas and potatoes. The celery and carrots add a nice bit of crunch to the salad. This is tasty hot or cold, which makes it perfect for your lunchbox. 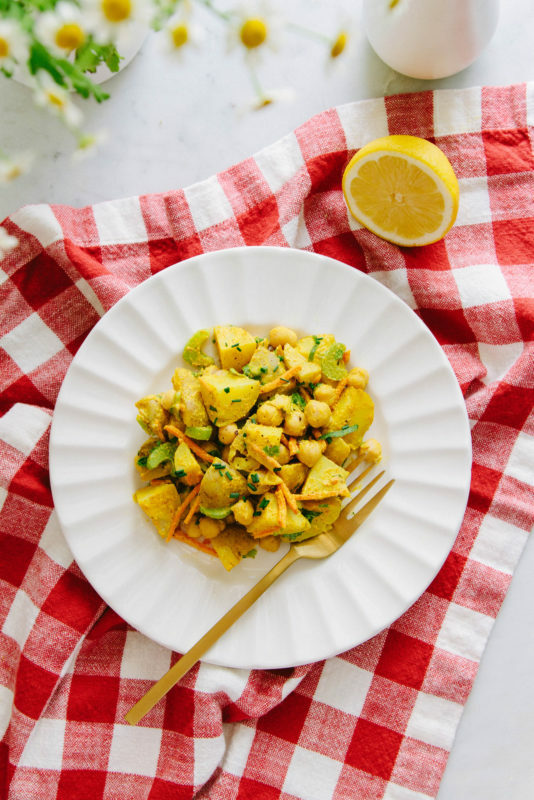 This Curried Chickpea and Potato Salad is a meat-free dish, but feel free to toss in some cooked chicken or tuna if you want to add some. Either way, you're going to be wishing you had another serving of this tasty salad as you finish it off. 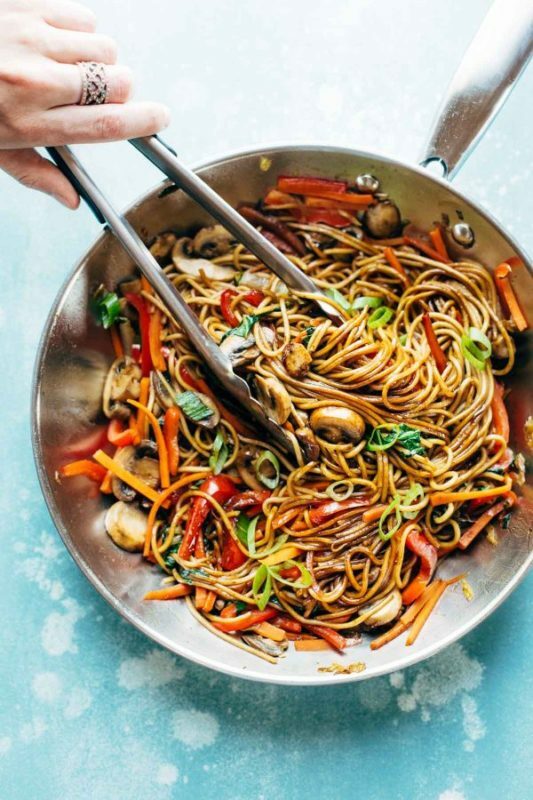 This super easy Lo Mein recipe is delicious and packed with nutrients. The noodles make it satisfying, and the veggies add fiber and other essential vitamins and minerals to your lunch. And the sauce is so much better than anything you'd get in a take-out restaurant. The best thing about this recipe is that you can mix and match the veggies. 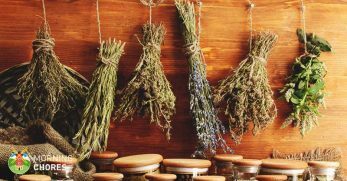 Use whatever you have on hand to shake things up each time you make it. 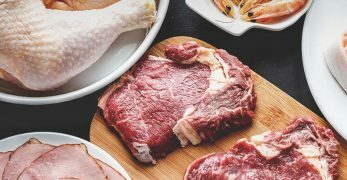 Of course, some chicken, shrimp or pork also works if you want some meat in your noontime meal. 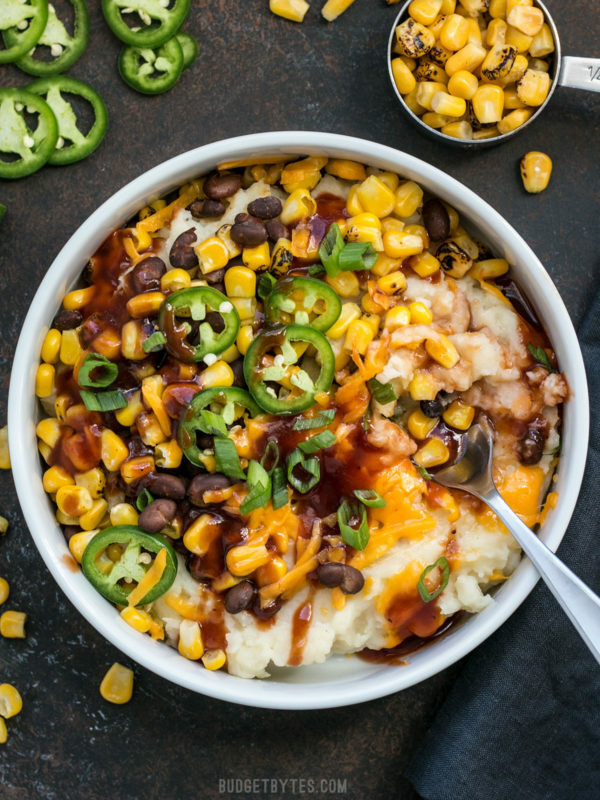 You've never had anything as delicious as these Loaded Mashed Potato Bowls. Potatoes are one of my favorite foods, so I'm always excited to find a new and tasty way to eat them. This meal is ideal because you can cook it the night before and portion it into containers. Then all you have to do is warm it up at lunchtime. 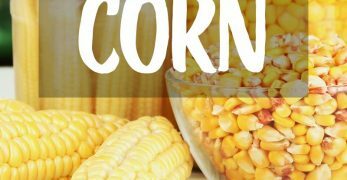 The beans, corn, and cheese add taste and fiber to this bowl, making it more filling. And the gravy on top? So delicious! If you don't like it spicy, feel free to skip the jalapenos or sub them out for some mild salsa. Yum! 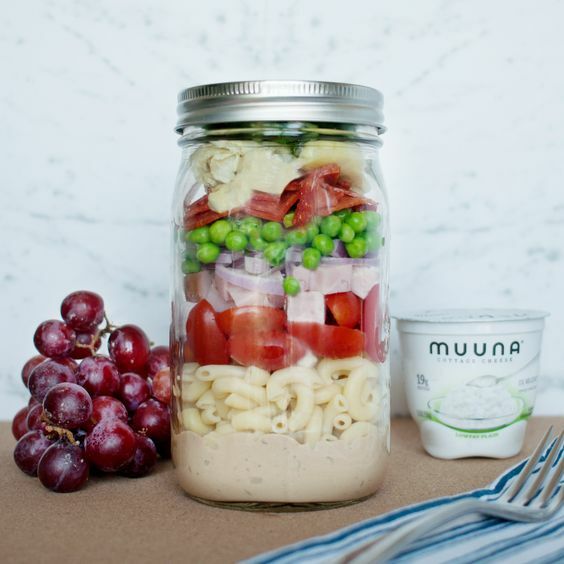 If you love lunch in a jar, this Antipasto Pasta Salad is what you've been looking for. All you have to do is put all the ingredients in a jar with the sauce, then give it a shake when lunchtime comes. The artichokes make this salad stand out, and the red onions add just a touch of crunch and spice. 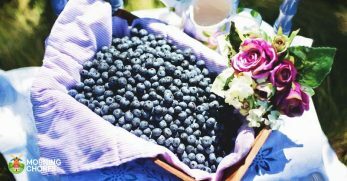 My favorite fruit to eat with this salad is sliced apples, but grapes, oranges or a banana are also tasty. You'll be surprised at how full you are when you're done eating! Nothing satisfies for lunch on a cold day like a beautiful bowl of steaming hot soup. 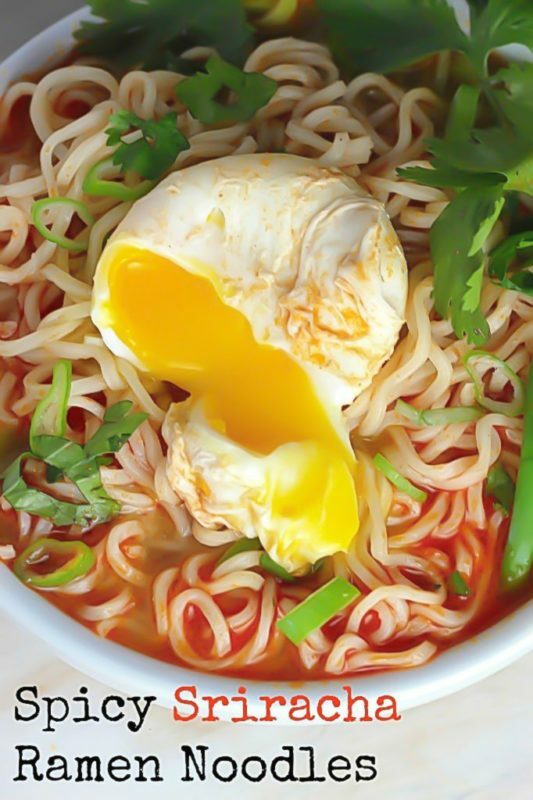 This spicy Sriracha Ramen is perfect if you like things with a bit of heat. Adding the egg on top loads you up on protein and adds a nice bit of mild flavor to the broth. I like to make a big batch of soup on the weekend and then portion it out and use it all week. 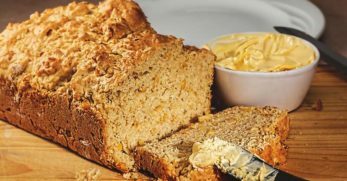 This recipe is super easy to multiply so you can prepare as much as you need. And it uses already packaged ramen noodles, which makes it even easier. I love all the ingredients in this salad because they're all tasty on their own, but together they create something extraordinary. This is another one of those quick lunch ideas you can whip up on the weekend and take all week long. Imagine the jealousy of your co-workers when you pull this out of your lunchbox. 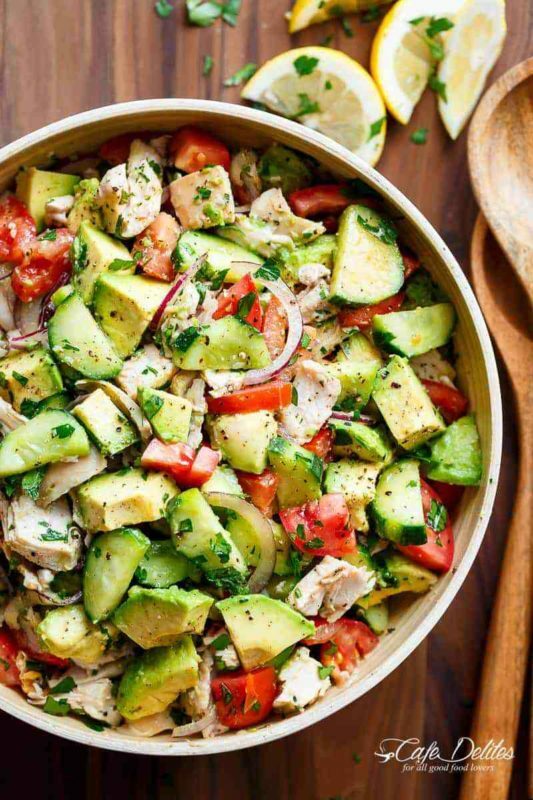 I love to enjoy this Chicken Cucumber and Avocado Salad with a side of crackers or a roll. 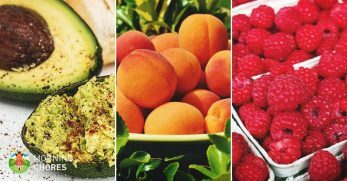 Some fruit never hurts if you're starving when lunchtime comes. My kids love this for lunch, and I think yours will too. If it has guacamole on it, you can bet I'm going to eat it. Are you with me? 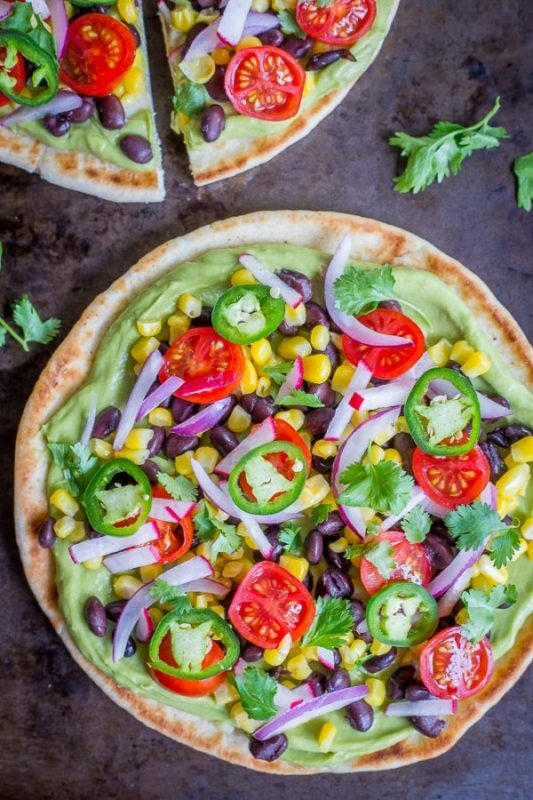 Then you are going to love this Guacamole Pita Pizza. It's easy to put together at lunchtime and has loads of flavor. 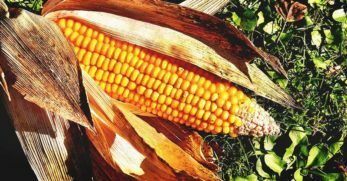 Black beans, corn, tomatoes, and jalapenos bring all the taste you love and the nutrition you need. I usually take everything separate and then assemble the pizza at lunchtime. Otherwise, the guacamole tends to make the pita soggy and hard to eat. Mix and match toppings to create new combinations all the time. Just thinking about these makes my mouth water. The salami and peppers go so well together, and the cream cheese helps hold it all together. I love the banana peppers because they're tangy and just a bit spicy. What a perfect combination, right? 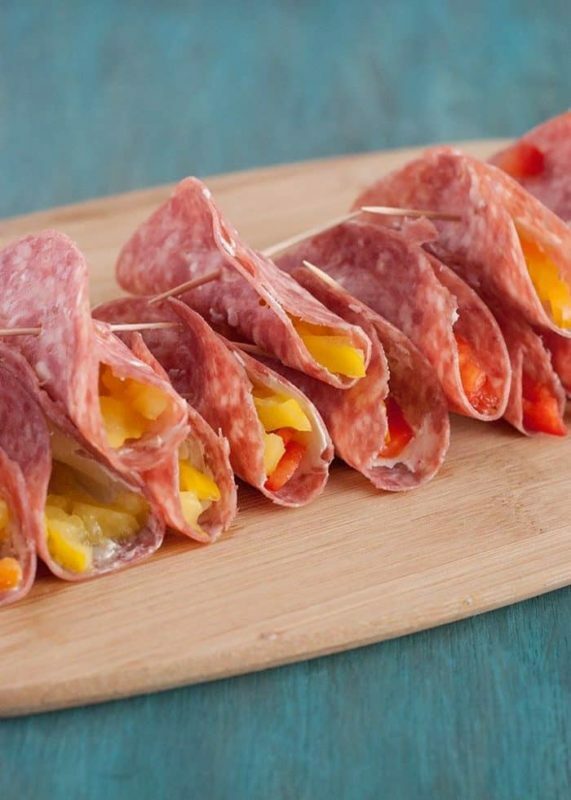 These Salami Cream Cheese Roll-ups are an excellent base for a yummy lunch. I like to take a small veggie salad and some sliced fruit on the side. This is a meal you can savor during your lunchtime break any day of the week. Here's another big sandwich you can make and cut into portions for everyone's lunch box. 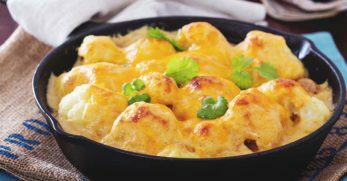 It's perfect because it's fast and easy to make and everyone loves the combination of flavors. And it's healthy and filling too. 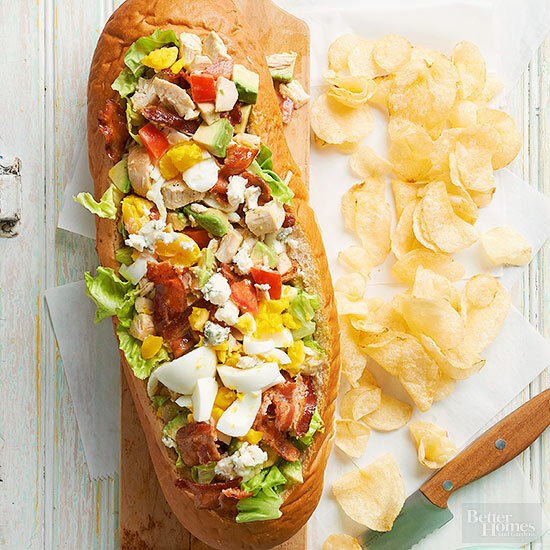 The bread is filled with eggs, bacon, lettuce, chicken, and tomatoes, making this Cobb Salad Sub one of my favorite quick lunch ideas. Served with potato chips and fruit, you have the perfect midday meal for everyone in the family. Nachos happen to be one of my favorite meals, so this lunch version is delightful. 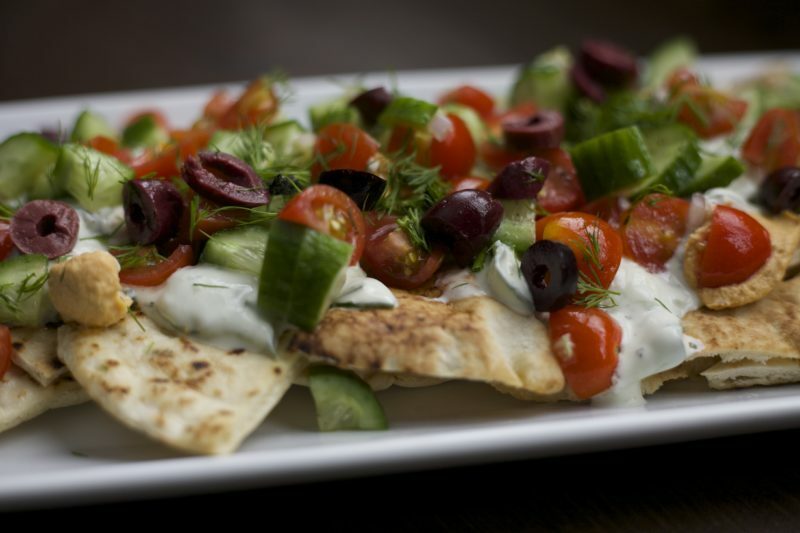 You're going to love the crisp pita chips topped with tart olives, juicy tomatoes, and fresh cucumbers. And the dill makes this meal stand out. My entire family loves this meal, and it's easy to fill several containers with these Mediterranean Nachos at one time, so lunch is made easily and quickly. And that's my goal every night. When I pack lunches, I often do so the night before. By putting lunch in lunchboxes and placing them in the fridge, all we have to do is grab them and go in the morning. It takes some of the stress out of the morning rush. 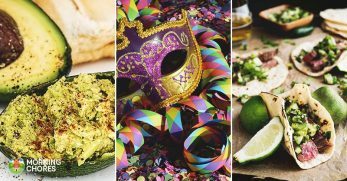 The great thing about lunch is that you can prepare large batches of your favorites on the weekend, making packing lunches easy all week long. What's your favorite thing to take in your lunchbox?